Karl, Eleanor, and their daughter, Irina, arrive from New York City in the wake of Karl's infidelity to start anew. Karl tries to stabilize his flailing art career. Eleanor, a successful commercial novelist, eagerly pivots in a new creative direction. Meanwhile, twelve-year-old Irina becomes obsessed with the brutal murders that occurred in the house years earlier. And, secretly, so does her mother. As the ensemble cast grows to include Louis, a hapless salesman in a carpet warehouse who is haunted by his past, and Sam, a young woman newly reunited with her jailbird brother, the seemingly unrelated crime that opened the story becomes ominously relevant. Hovering over all this activity looms a gradually awakening narrative consciousness that watches these characters lie to themselves and each other, unleashing forces that none of them could have anticipated and that put them in mortal danger. 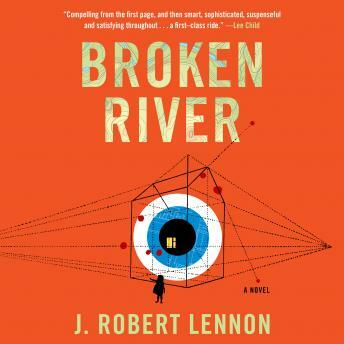 Broken River is a cinematic, darkly comic, and sui generis psychological thriller that could only have been written by J. Robert Lennon.